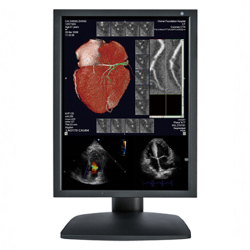 The Optik View DC21311 3MP 21.3" Color Diagnostic Display takes high resolution color and grayscale imaging to the next level. 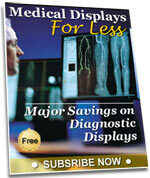 This display is ideally suited for PACS and Radiology departments requiring greater image detail. It supports Dual Link DVI input, a clock frequency of 60 Hz when displaying QXGA (1536 × 2048) resolution and frame synchronization between the computer and monitor to reproduce a smooth moving picture without frame loss.